The Straight Edge has been developed to measure the evenness of the surface. 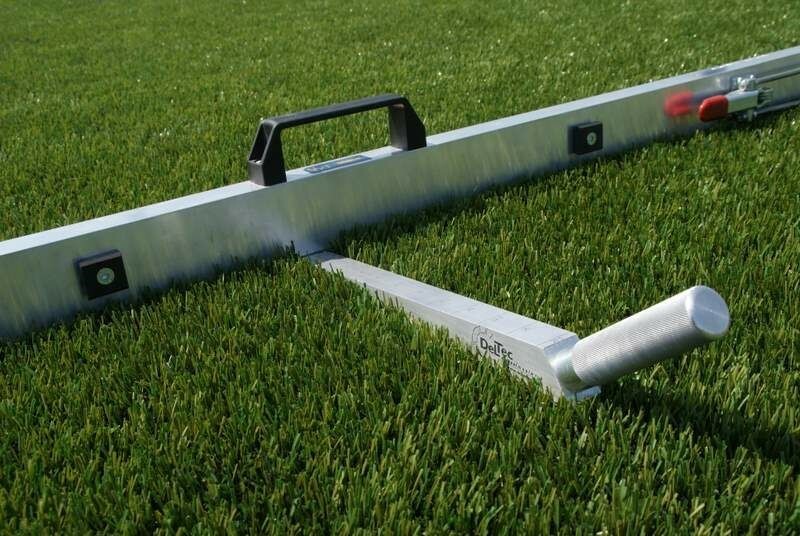 This device is especially used when the foundation of sports fields is laid. The Straight Edge can be delivered in three or four meter versions. Special attention is paid to the user-friendliness. To facilitate transport the Straight Edge can be disassembled in three parts. The joints are made from special synthetic fibre with strong lever clamp mechanisms. Measuring wedges with thickness markings can be supplied (optional) with the Straight Edge. By pushing the wedges between the surface and the Straight Edge, the deviation of straightness can be read. The measurements are according to the FIFA regulations in which a reference is made to the European NEN 13036. The Deltec Straight Edge exceeds the 0,5mm precision requirements of the prescription.